I remember growing up, my father always had the orange, gritty GoJo in his construction trailer. And at home on the sink, for that matter. Although he was a general contractor and not a mechanic, he learned from his mechanic friends how well the stuff worked, and it really did get the grime off. My mother loved that my dad no longer had grimy hands at the dining room table. Later, when I ran a horse barn, I used GoJo in the stable bathroom to clean up after riding or stall-cleaning. GoJo has come a long way since then. 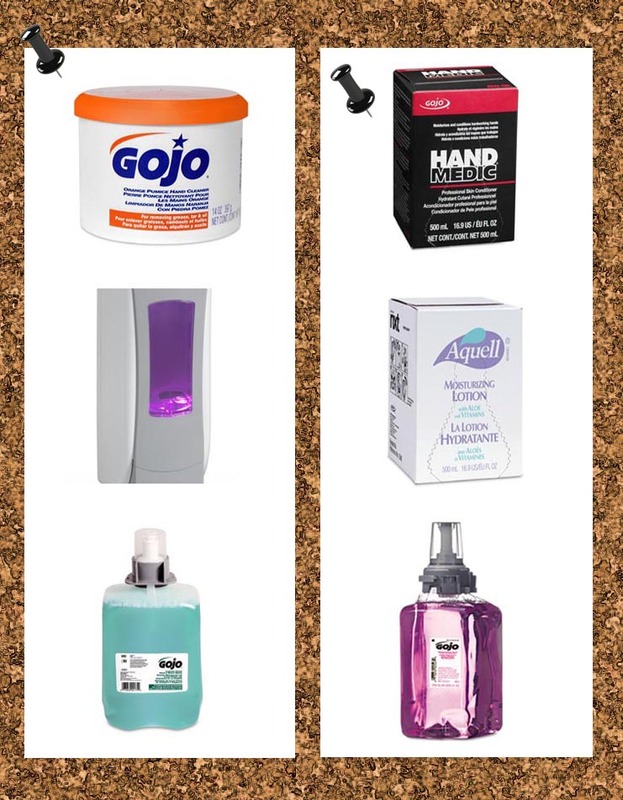 In 1983, GoJo broke out of the heavy duty hand cleaner niche and created a new one- that of dispensers (which they originally patented in 1952) and sealed refill soaps for washrooms everywhere. From there, they set their sights on new markets and countries, and their products only got better as the years passed. I was at the gym the other day (okay…maybe it was more like a year ago…) and in the locker room showers, I happened to notice that they had installed new soap and shampoo dispensers, which I thought was a nice touch. To my surprise, it was GoJo products. I say that because I had only known GoJo, up to that point, to manufacture hand-washing soaps and as the company behind Purell hand sanitizer. Lo and behold, they now had a line of luxury soaps for body wash and shampoo! AND IT WAS GOOD! Since we sell them on the site, I figured I would try them at the house. Smart move! They last forever in a home, and the dispenser makes it so nice! I don’t have to worry about little slivers of soap getting underfoot in the shower and no more soapy residue under body wash bottles; hey, anything to make cleaning my house easier. AND they also manufacture body lotion too! And it’s just as great as any you get at the drugstore. It also comes with a dispenser, so it’s a cinch to apply! What are you waiting for? Go, get some GoJo and make life easier! Previous Post November Trivia Time!